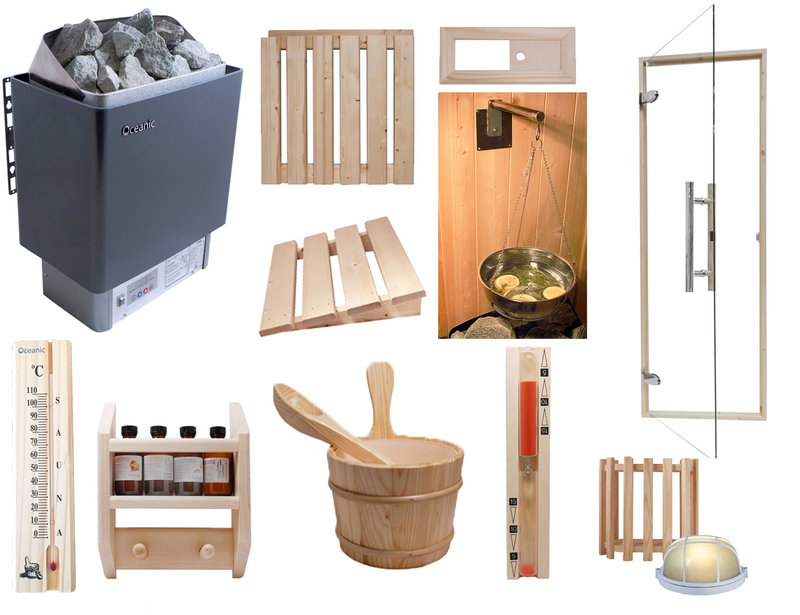 Oceanic sauna DIY kits allow you to have more control over the sauna cabin design, we provide all the necessary sauna cabin features for you and you can build your own sauna. For full details of the Oceanic DIY kits click on the products for more information. 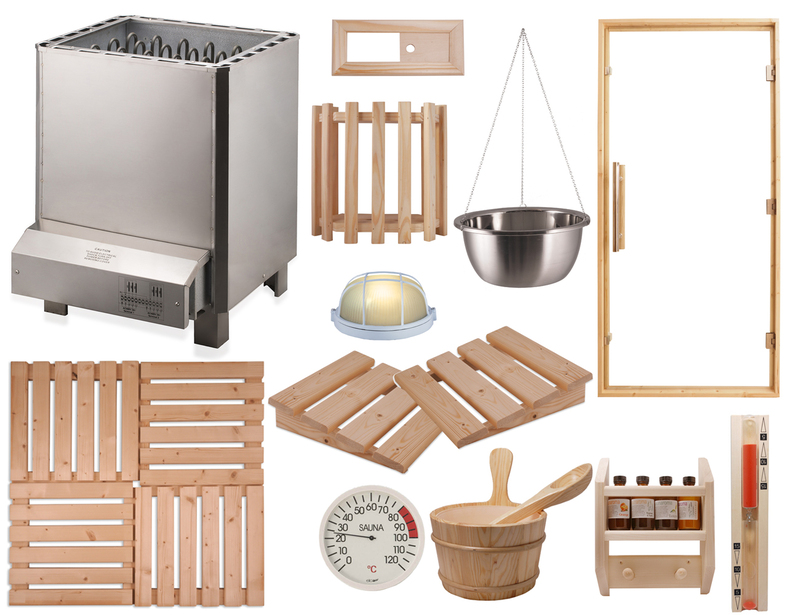 All sauna DIY kits are provided with an sauna heater, sauna glass door complete with frame, hinges, door handles, bucket and ladle, sand timer, Oceanic thermometer, lamp and shade, herb bowl, head rest, floor mat, vent kit, sauna heater guard, towel and fragrance rack complete with 4 bottles of SaunAroma.